After a lovely evening with my wonderful other half, and a nice dinner out on the town, one would think I had my fill of indulging in deliciousness. Alas, when I arrived home I thought what better way to top of the evening than share these fantastic miniature quiches I made at the weekend. 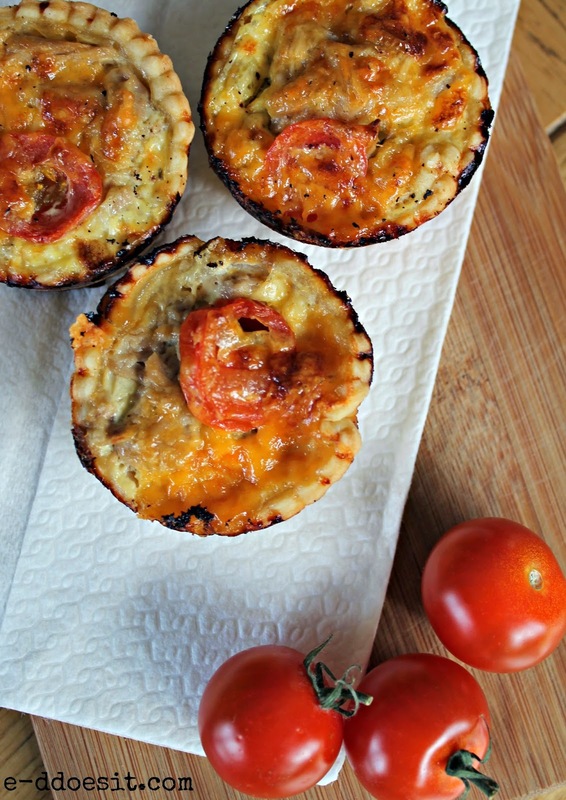 These quiches are one of my all time favourite summer time foods. Served with a tasty spinach and rocket salad, these little quiches melt in the mouth and will leave you looking for more. Don't be put off by the pastry, I had these made, cooked and eaten in under an hour......impressive. quickly to try and keep everything cold. 2. Add a little water, and using a knife, bring the mixture together until it forms a dough. 3. Place the dough in cling film and put in the fridge for 20 minutes before rolling out. greased cupcake or muffin trays and set aside. 1. Whisk together the egg, milk and cream. Add some pepper. 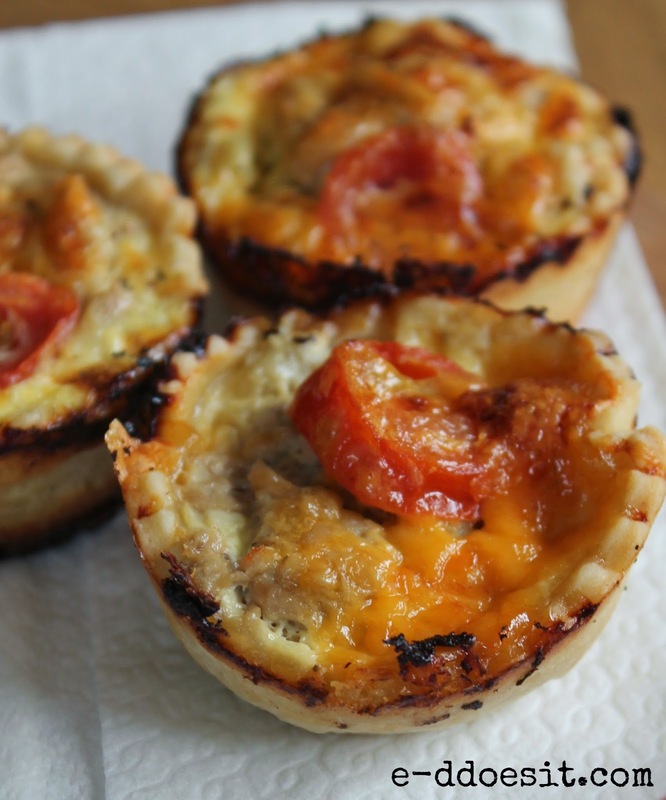 slice on top of each quiche. 4. Pour the cream mixture into each case, ensuring not to overfill. for 25-30 minutes or until the mixture is set and pastry cooked.